It has become one of the most overused poster images of our time. 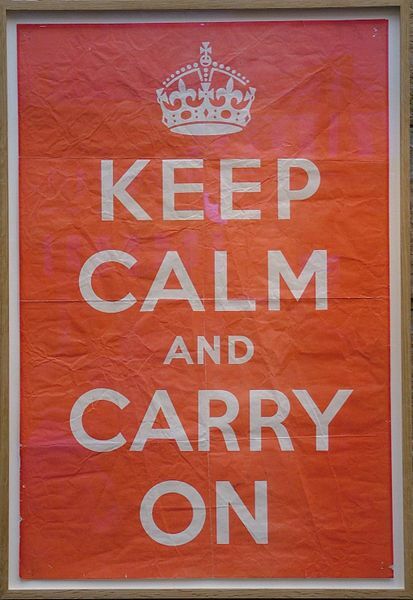 But in the heat of a crisis, there could not be a more apt phrase than “Keep calm and carry on”. Whether you’re talking about a massive oil spill; a controversial resignation or grassroots protests against a development project, the appearance of weathering the storm with equanimity is crucial to public perception. If they’re doing their job properly, journalists are like piranha fish: if they scent blood, they’ll go in for the kill – and at that stage, they’re much harder to fend off. 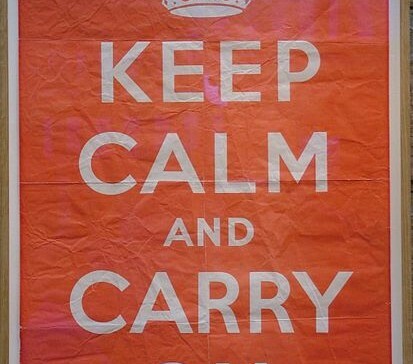 Having a crisis communications plan in place before things get bumpy makes for a more confident response when they do. It’s always worth making the time to strategise “what if” scenarios and consider the best approach for each. Larger companies and agencies will have spokespeople in place to deal with the initial fallout, but they will still need adequate project- or incident-related information to hand and the ability to prepare any senior personnel for potential media appearances. Having updated key messaging helps; as done a clear chain of command in the event of a crisis. In the heat of an emergency, it’s important to be as transparent and forthcoming as possible. What your stakeholders don’t want to see is anger, fear, denial, or defensiveness – reactions that the media will be all to happy to show them. Tackling the issue head on and taking responsibility for its speedy resolution will go a long way when it comes to reassuring anxieties. Acknowledge any error and deploy a remedy for the most pressing concern at the earliest opportunity. The now-famous handling of the Tylenol cyanide poisoning crisis in 1982 is a case in point: parent company Johnson & Johnson put customer safety first by removing all of the product from the shelf and creating new, more secure packaging – and then focused on rebuilding trust in the brand. If people believe that you’re being honest in trying to fix the problem – whether that problem is created by an error of judgement, a genuine mistake, or a gap in adequate communications, they will be more forgiving. Even clearly and graciously correcting misapprehensions about the nature or scope of a project can help defuse opponents. When we’re under attack, it’s human instinct to run or fight back. But by taking a deep breath and letting the world see your skill at facing challenges with dignity and openness, you’ll win a lot more respect, and keep yourself clear of a lot more slings and arrows. Copywriting, editing, and strategic communications services for outfits of all sizes. © 2014 Literary Paramedic. Copyright for all samples is held by the relevant publishing organisation.